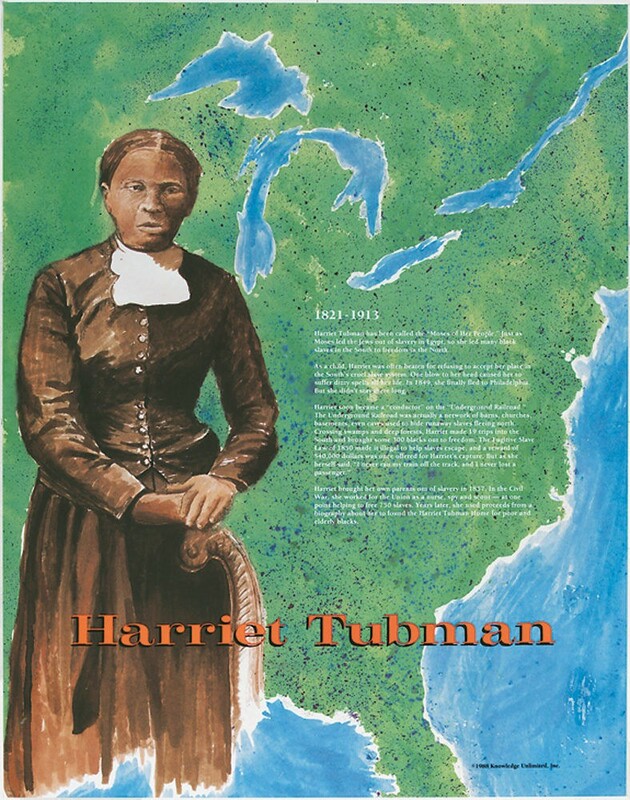 This educational poster of the courageous "Underground Railroad" conductor Harriet Tubman features a striking artist's illustration of her, as well as biographical text detailing her life and accomplishments. Harriet Tubman has been called the "Moses of Her People," because she led her people out of slavery, just as Moses led the Jews out of slavery in Egypt. 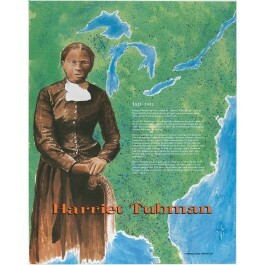 Harriet helped to bring hundreds of blacks to freedom, including her own parents. At one point, a $40,000 reward was offered for her capture. But this brave woman was undeterred; She said "I never ran my train off the track, and I never lost a passenger."